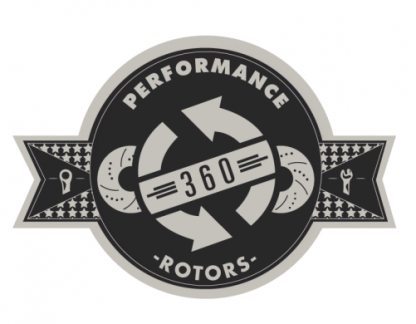 Thousands of people have chosen 360 Performance Rotors when upgrading the brakes on their vehicle. 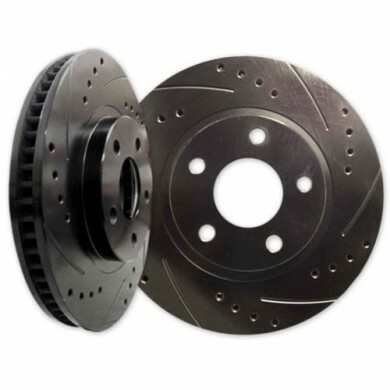 This brake kit is a heavy duty stock replacement for your vehicle. 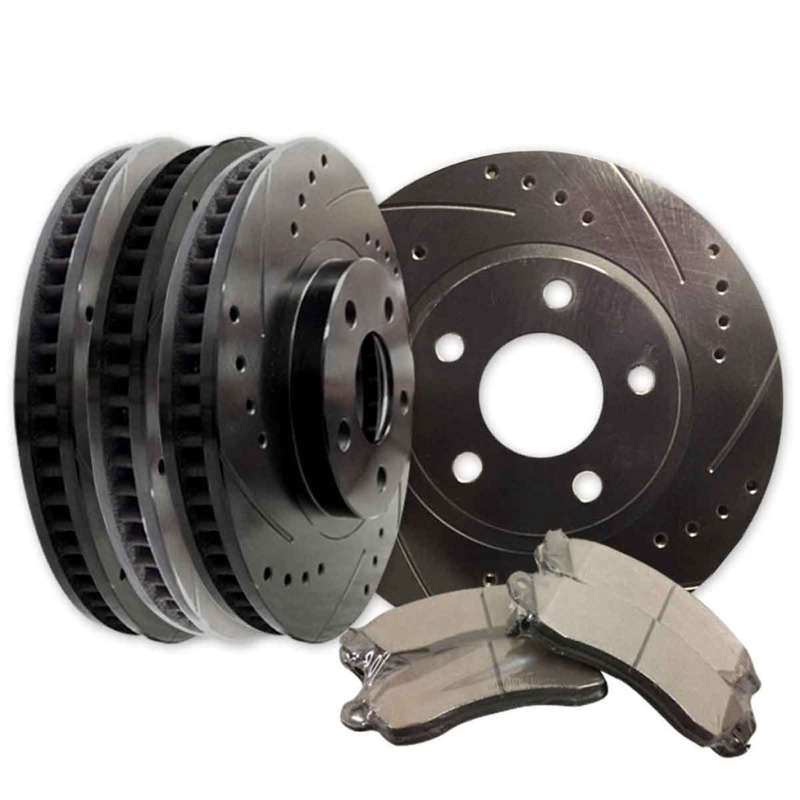 You will experience increased braking power with no vehicle modifications, easy to install OE fitment guaranteed. 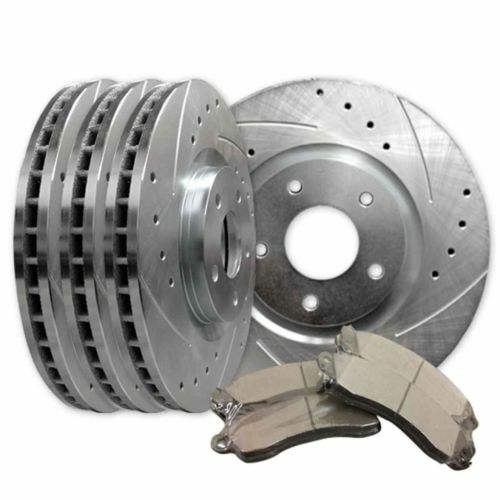 Available front and rear, drilled and slotted rotors and performance brake pads. The perfect upgrade! Using premium rotor blanks and state of the art CNC machining processes 360 Performance Rotors meet and or exceed industry standard specifications. 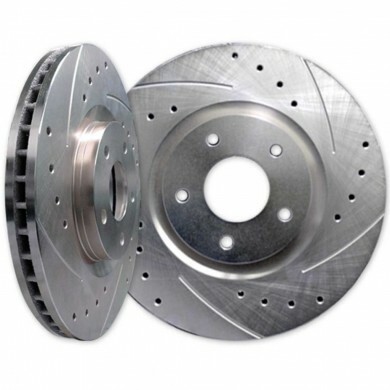 360 Performance Rotors utilize proprietary cross drilled and slotted patterns maximizing heat reduction, out gassing and water dissipation for increased braking performance. All 360 Performance Rotors are zinc plated silver standard, black and gold options are available. 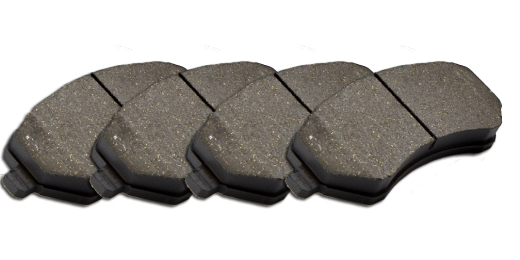 Zinc plating prevents pad glazing and corrosion for long rotor life. • All Rotors Meet or Exceed G3000 Industry Standards, TÜV, QS, ISO & TS16949 certifications. • 100% State of the Art CNC Machined in the USA!